Huaca Pucllana and San Pedro Church (Iglesia de San Pedro) will appeal to history buffs. Your cultural itinerary includes sights like Larco Museum and Barranco. Change things up with these side-trips from Lima: Islas Palomino (in Callao) and El Silencio (in Punta Hermosa). And it doesn't end there: wander the streets of Miraflores, enjoy the sand and surf at Santa Maria del Mar, get a sense of history and politics at Palacio de Torre Tagle, and admire the local landmark of Plaza de Armas (Plaza Mayor). To see traveler tips, ratings, more things to do, and other tourist information, you can read our Lima travel planner. Use the Route module to find travel options from your starting location to Lima. 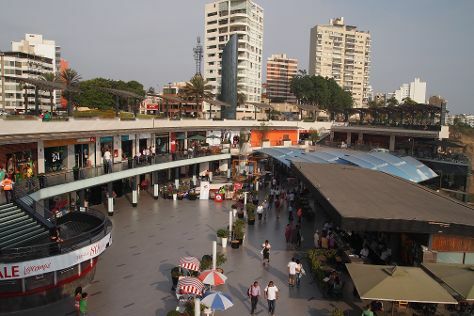 In May in Lima, expect temperatures between 26°C during the day and 20°C at night. Finish your sightseeing early on the 5th (Fri) to allow enough time to travel back home.